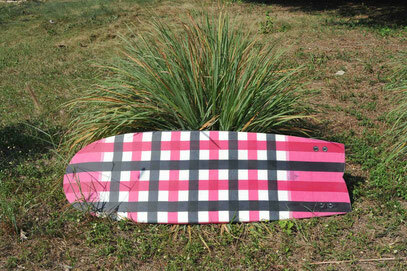 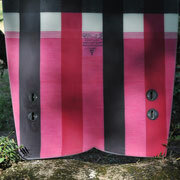 A 5'4" version of the Ice Cream Bar with pink sarong inlay on the bottom and recomposed wood veneer (T-82) on deck. 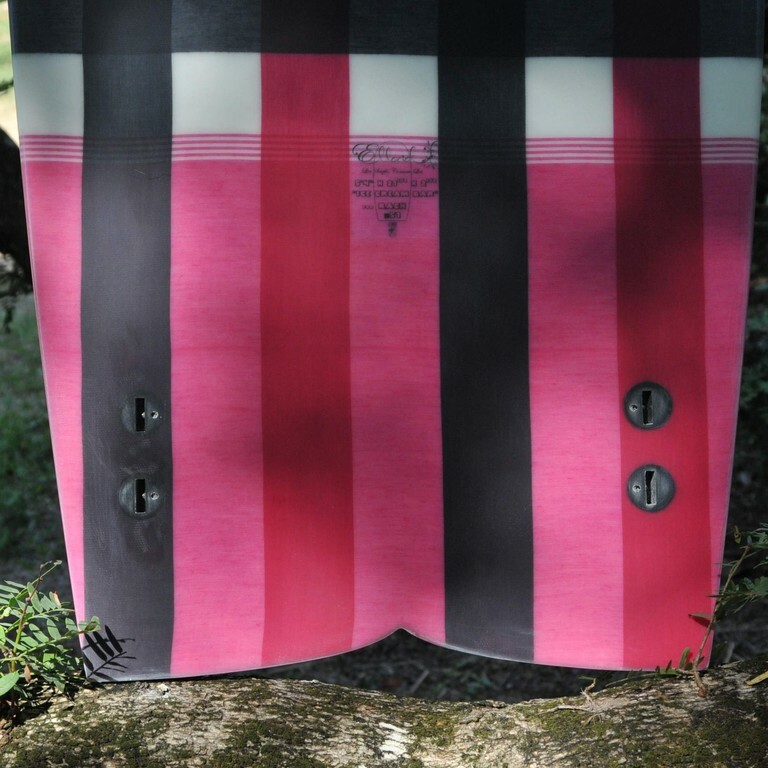 The hull is the classic Mini Simmons with round belly to single concave between twin fin setup. 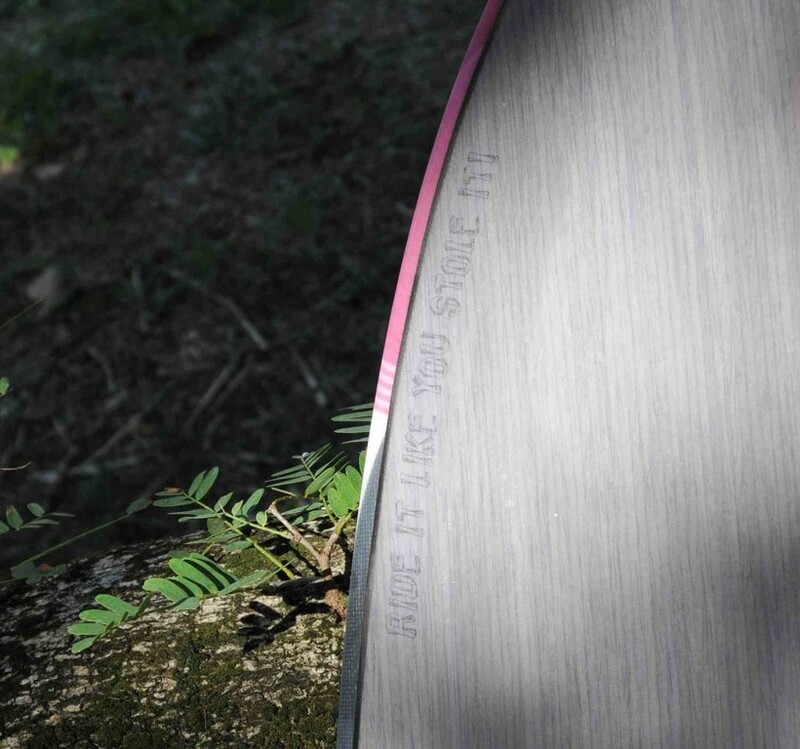 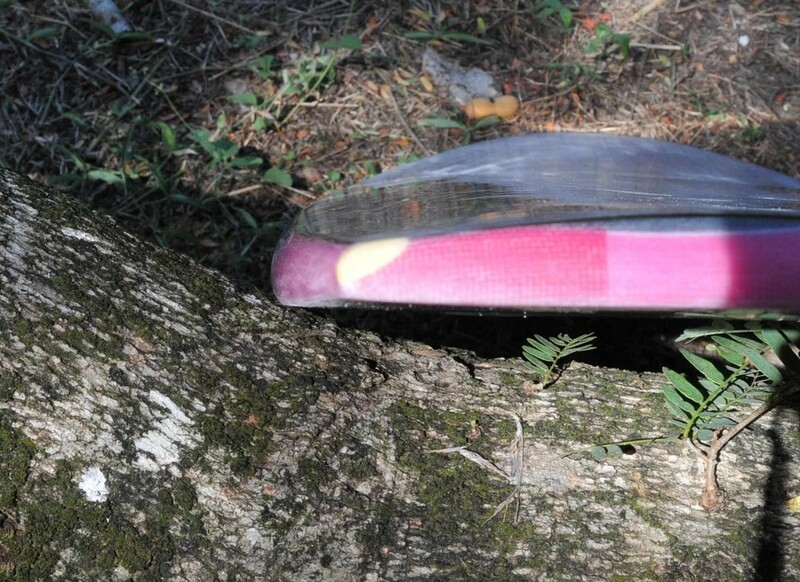 Deck is single to double concave! 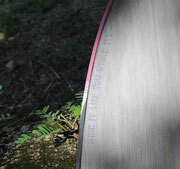 Cloth inlays add style and strength but some weight too..
Hope Rachel will ride it like she stoled it!